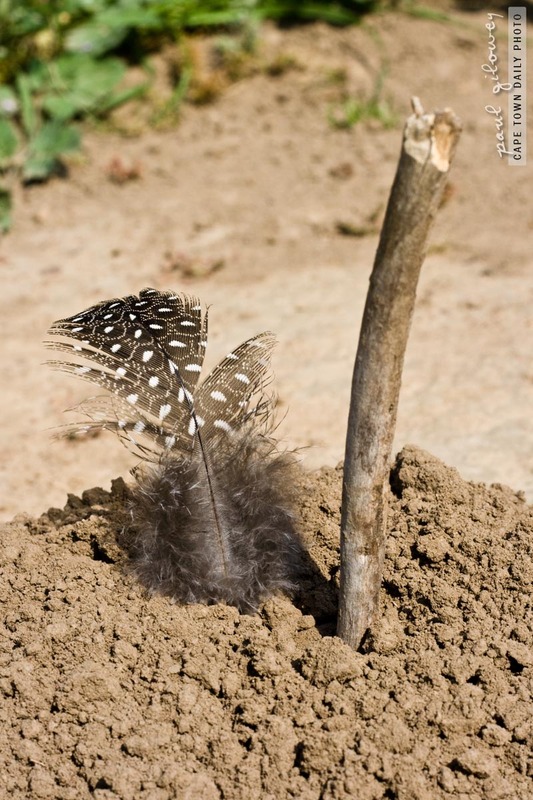 No idea, but you now own the Google search for “guinea fowl feather stick soil”. Very curious indeed. I’m trying hard not to Google “guinea fowl feather stick soil” as mjw suggested above. LOL!. Are you sure Paul you didn’t set this one up for us!! I can picture a little boy or girl taking great delight in creating this masterpiece, placing the stick and feather ontop of the mud cake to mimic candles. Phew mjw! It was a close call. At least I managed to beat http://www.zartart.com.au.